- Please be aware that a bus operator or other Metro representatives may ask if the animal is a service animal required because of disability and what task the animal has been trained to perform. MetroLink is a Public Transit commuter and regional rail system operating in Southern California. The system is made up of seven lines and 62 stations operating in Los Angeles, Orange, Riverside, San Bernardino, and Ventura counties, as well as to Oceanside in San Diego County. 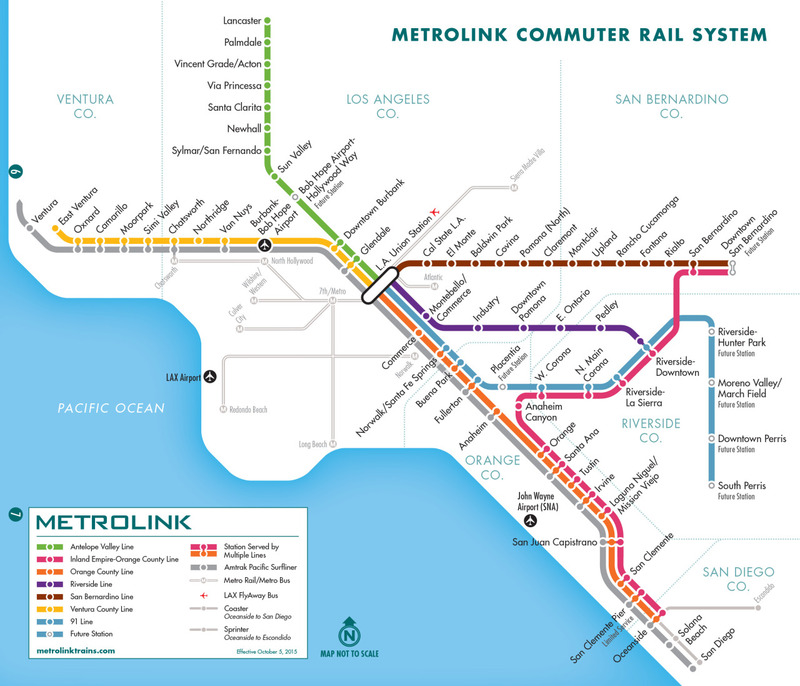 MetroLink connects with the Los Angeles County Metro Rail system, the San Diego Coaster commuter rail and Sprinter light rail services, and with Amtrak's Pacific Surfliner, Coast Starlight, Southwest Chief, and Sunset Limited intercity rail services. Any pet fully enclosed in a pet carrier that fits either on the passenger’s lap or under the passenger’s legs is permitted. This option is really only suitable for small dogs in a compact pet carrier. BART allows pets to be brought aboard at no additional charge. The only requirement is that the pet must be secured in a container that is specifically manufactured for transport of a pet. Animals at-large or on a leash or harness (other than service dogs) are not allowed. For more information about service animals, visit the Accessibility Services section. Trained service animals accompanying persons with disabilities are always welcome on board bus and Trolley services. Non-service animals must be fully contained inside an enclosed carrier that you can hold on your lap and transport by yourself. Animals must be kept under your control at all times. Operators have the right to refuse to transport your animal because of noise or odor. 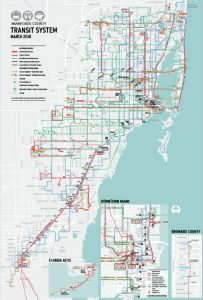 Miami-Dade Transit (MDT) is the primary public transit authority of Miami, Florida, United States and the greater Miami-Dade County area. The animal/pet is not in a properly enclosed container such as a cage, kennel, or other pet carrier like a bag or a backpack while inside the bus or train. The pet and/or container interferes with the operation of the bus or train. The pet/animal container is not kept out of the aisles and stairwells or steps while aboard Metrobus, Metrorail or Metromover. The size of the container impedes a passenger's safe egress from the vehicle or bus; this excludes service animals (i.e. guide dogs, signal dogs, or other animals individually trained to perform tasks for customers with a disability). The animal does damage or causes a nuisance or inconvenience while using the linear park underneath the Metrorail guideway. The main rail services are operated by Amtrak, Brightline and SunRail. Bus services are operated by Greyhound and Lynx. LYMMO is a fare-free Downtown Orlando circulator that provides a convenient, air-conditioned connection for residents, employees and visitors to Downtown restaurants, retail, entertainment, offices and services. LYMMO operates along four different routes, with wait times between buses as little as five minutes. Pets are permitted to travel on Brightline trains as checked luggage or carry-on provided that they travel inside a pet carrier placed in the car’s luggage tower onboard the train, under the guests’ seat or on the guests’ lap. Pets must remain in their pet carrier at all times. Guest must indicate their intention to travel with a pet at the time of reservation. Fees may apply. Cats and dogs may be accepted for travel as checked luggage based on space availability. No more than two pets will be accepted as checked luggage per trip per person for a maximum of four pets per train. Be no larger than 32” x 22.5” x 24” such that it provides for room for the occupying animal to stand, turn, sit and lie in a natural position. Be less than 70 lbs. (including the pet and carrier). Be leak and escape proof with a secure fastened door, have ventilation on the door and 2 sides. Have separate food and watering dishes attached securely inside the carrier (so that if needed, pets can be fed without opening the carrier), have a small bag of food for a 24-hour period attached to the crate. Owners checking cats and dogs for travel must accompany their contained pet to the luggage cart at the platform level and assist in securing the carrier within the luggage cart. Pets must be on a leash at all times. Upon arrival at their destination, guests must collect their pet directly from the luggage cart at the platform level. Brightline will provide a suitably sized flatbed cart to assist with transportation and assist the pet owner during transition. Guests are advised to provide extra time at check-in when traveling with a pet. If the pet is traveling on the guest’s lap or under the guest’s seat, the size of the carrier may not exceed 17”x 10” x 10”. If the pet is traveling on the luggage tower, the size of the carrier may not exceed 28”x 20.5” x 21.5” No more than 1 pet may travel on the luggage tower of each available car. A maximum of 4 pets per available car may travel as carry-on pets. Please note that Brightline does not have carriers available for carry-on pets. Each guest is responsible for the care and supervision of the pet they are transporting. If the animal is disruptive or uncontrollable Brightline may require guests to remove the animal and place it in the checked luggage compartment. SunRail is a commuter rail system in the Greater Orlando, Florida, area. Phase 1 comprises 12 stations along the former CSX Transportation "A" Line connecting Volusia County and Orange County through Downtown Orlando. Unless you have a service animal, your pets must be kept in an enclosed container. Keep carriers out of the aisles and off seats. Pets must be in a closed pet carrier that will fit on your lap, unless they are trained service animals. LYMMO is a zero-fare bus service in Downtown Orlando. 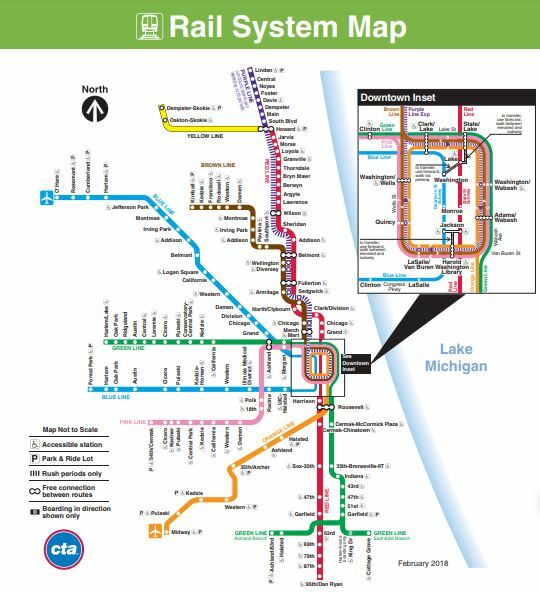 The Chicago Transit Authority (CTA) operates mass transit services Chicago, Illinois and some of its surrounding suburbs, including the trains of the Chicago "L" and CTA bus service. Service animals (animals that provide assistance to people with disabilities) are permitted on CTA at all times. Only small pets in protective carriers are allowed on CTA buses and trains. Carriers cannot take up seats, seating areas or obstruct pathways on buses, trains or in stations and must be able to be carried on by a single person. To ensure the comfort of others, animals in carriers need to behave in such a way that does not disturb others. Police dogs, small animals transported exclusively in small carry-on travel cages stowed under the seat, and service animals accompanying trainers or passengers with disabilities pursuant to federal law are the only animals permitted on trains. Animals must not occupy seats. 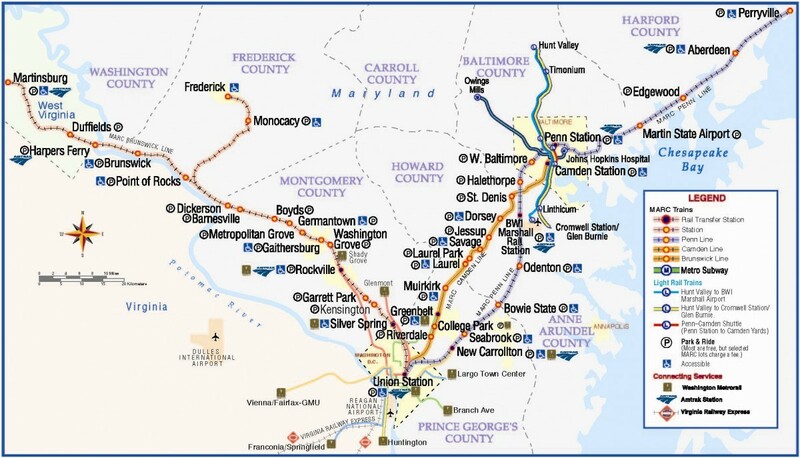 MARC (Maryland Area Regional Commuter) is the commuter rail system serving the Baltimore–Washington Metropolitan Area in the United States. The system is owned by the Maryland Transit Administration (MTA Maryland), and serves Maryland, Washington, D.C., and West Virginia. Connecting services include WMATA, Amtrak and VRE. Only small pets confined in closed carriers are permitted on MARC trains. Service or comfort animals accompanying passengers with disabilities who require the assistance of these animals are welcome on board. SEPTA currently permits the passage of small animals secured in covered containers. The carriers must be stored on the owners’ laps, and the animals should not disturb other riders. The rule applies to all SEPTA trains and buses. PATCO (Port Authority Transit Corporation) Speedline, a rapid transit system which runs between Philadelphia, Pennsylvania, and Camden County, New Jersey. If an animal is not a service animal, it may ride PATCO only if in a carrier on the customer’s lap on the PATCO train. 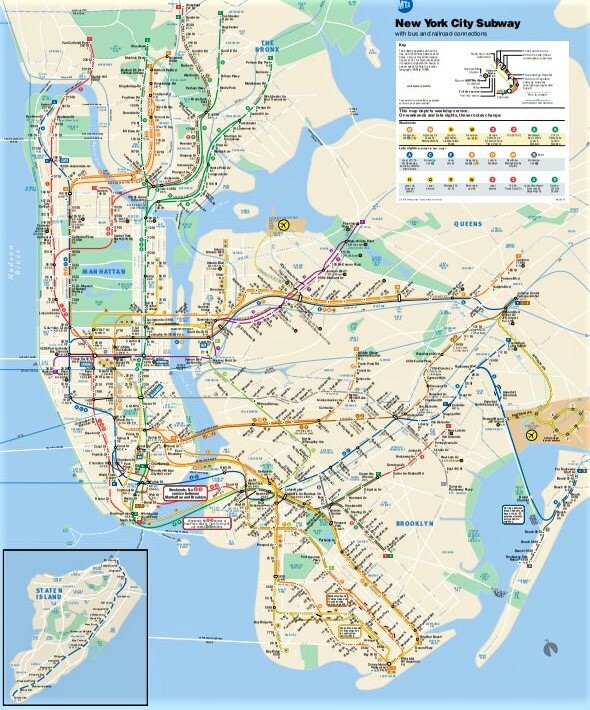 A state-owned public transportation system serving the US state of New Jersey, along with portions of New York State and Pennsylvania. Valley Metro provides bus, rail, carpool, vanpool and paratransit services in metropolitan Phoenix. Companion, comfort and therapy animals are not permitted in Valley Metro facilities or on Valley Metro buses and light rail vehicles unless they can be stowed within an enclosed pet carrier that fits on the customer’s lap or on the floor beneath the customer’s seat. Both small and large dogs are allowed on the Boston T.
Small dogs may be transported in a carrier. Larger dogs may be taken on the T during off-peak hours and must be leashed and controlled at all times. At no time should a pet compromise safety, get in a passenger's way or occupy a seat. The T provides access to the city center from most surrounding towns and neighborhoods. The subway is both underground and above ground, depending on the line and location along the route. The same rules apply to the T buses as well, which can be a great option for you and your pet to travel on. No dogs, cats, birds or other animals will be transported. However, a properly documented service animal, trained for the purpose of accompanying a disabled person, will be permitted to travel with the disabled person at no additional charge. A total of five pets are allowed per train, one pet per customer, and pet reservations are made on a firstcome, first-served basis. Service animals do not count towards this limit. Cats and Dogs weighing 20 pounds or less allowed. Fee $25 for each travel segment. Sleeping cars or Business Class. Your pet may travel on trips of up to seven hours on most routes. Your pet must be at least eight weeks old. For your pet's comfort and safety, it must be able to sit and lie down without touching the sides of the carrier. Your pet carrier counts as one piece of carry-on baggage. To confirm pet eligibility, you need to read and sign a Pet Release and Indemnification Agreement for each leg of travel. At staffed stations, check in at the ticket office no later than 30 minutes before departure to take care of the confirmation. At unstaffed stations, the conductor will confirm pet eligibility and provide you with the document to sign. Before your trip, find your station and check to see if it is staffed. 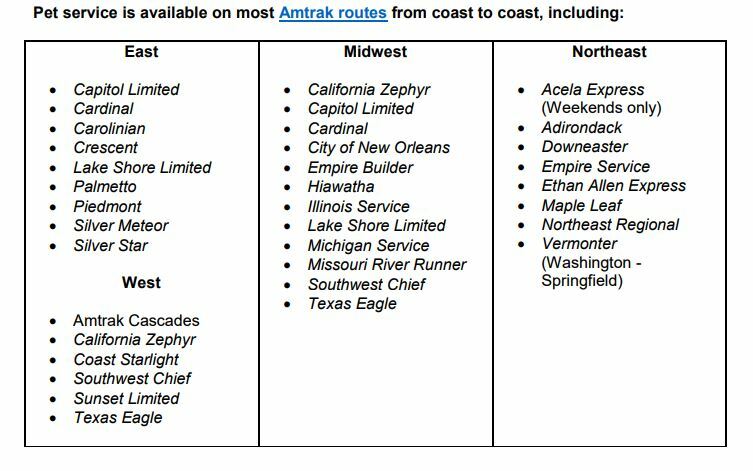 Some restrictions apply: Acela Express on weekends and holidays only; travel with pets in Canada not available on Adirondack, Maple Leaf and Amtrak Cascades; not available on Auto Train, Keystone Service, San Joaquins, Capitol Corridor Pacific Surfliner or Thruway Connecting Services. Megabus Operating Carriers are unable to carry animals, with the exception of trained service animals that allow Passengers with Disabilities to perform necessary activities. Unless the passenger has a service animal, it's entirely up to the driver whether or not to allow the passenger’s pet in the vehicle.